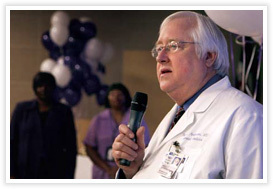 Ron J. Anderson, MD, a national spokesperson for public health issues and a champion for the poor and medically underserved, died Sept. 11, 2014 of cancer. He was 68 years old. Services are pending. 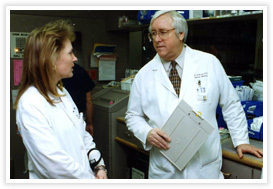 A native of Chickasha, OK, Dr. Anderson was President and CEO of Parkland Health & Hospital System for 29 years, a job he assumed in 1982 at the age of 35 after serving for two years as Medical Director of Parkland’s Emergency Room and Outpatient Clinic and Head of The University of Texas Southwestern Medical Center’s Division of Internal Medicine. He retired in 2011. In his final years at Parkland he led the successful bond campaign that secured public financing for the new $1.3 billion Parkland hospital due to open in mid-2015. On Sept. 10, the Parkland Board of Managers unanimously endorsed a plan led by Parkland Foundation to place a commemorative statue in the new hospital and to name Parkland’s new medical/surgical outpatient clinic after Dr. Anderson. In the 1980s, Dr. Anderson suggested setting up health clinics in Dallas’ poorest neighborhoods, convincing skeptical Board members and local officials of the need. Parkland now operates a dozen Community Oriented Primary Care clinics throughout the county, making primary and preventive health care more accessible." To his colleagues and friends, Dr. Anderson was not only an outstanding doctor and administrator, but a man of the highest integrity and honor. In the mid-1980s Dr. Anderson was thrust into the national spotlight when he spoke out against “patient dumping” — the practice of transferring medically unstable patients from private to public hospitals because of the patients’ inability to pay. 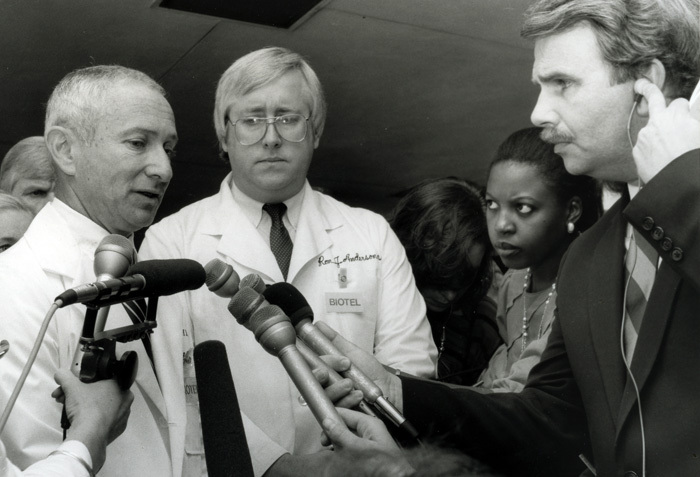 Dr. Anderson’s championship of the cause led to the passage of landmark legislation concerning indigent care in Texas, and to passage of federal legislation in 1986 banning the practice. Throughout his life he advocated for making health care a right for everyone, universally available to every U.S. citizen. His vision of health care for all, regardless of ability to pay, paved the way for Parkland’s Community Oriented Primary Care (COPC), a network of neighborhood-based health centers that provide a “medical home” to primarily low-income communities. Health care administrators and physicians came from as far away as Thailand to study Parkland’s system of health centers. The system became a national model for other communities across the country and won numerous awards for its ability to involve the community in clinic activities. Under his guidance, the system grew to include 12 local health care clinics, 12 school-based clinics and the Homeless Outreach Medical Services that provides medical care in more than 20 homeless shelters around Dallas County. In the mid-1990s he was once again thrust into the role of a national spokesperson because of his concern for the confidentiality of the physician-patient relationship when welfare reform measures threatened to require physicians and other health care providers to report undocumented immigrants to the Immigration and Naturalization Service. He received his medical degree from the University of Oklahoma and his pharmacology degree from Southwestern Oklahoma State University, where he was named a Distinguished Alumnus in 1987. 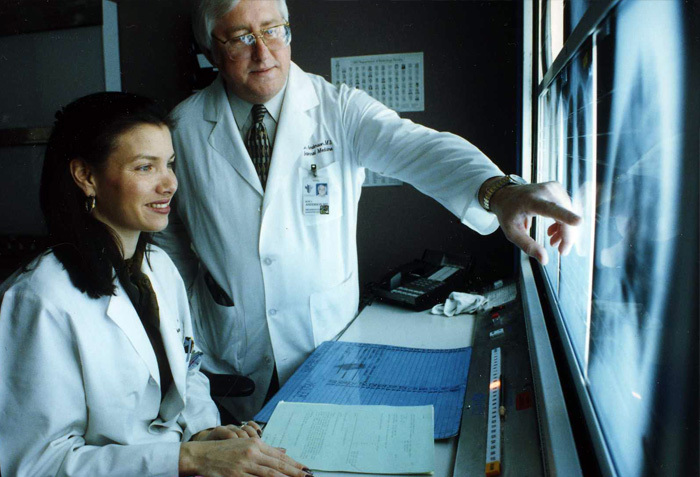 He said he found his niche at Parkland, where he could teach, do research and take care of patients under mentors like W. Donald Seldin, MD, who built UT Southwestern’s internal medicine department and, Dr. Anderson said, helped bring Parkland to world-class status. 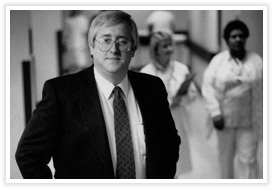 When Dr. Anderson was approached by Parkland board chairman Ralph Rogers in 1982 to assume the chief administrator’s position, he initially refused the offer. He recalled that Rogers, a respected community leader who rarely took “no” for an answer, persuaded him to accept the job by convincing Dr. Anderson that rather than take care of one person, he could take care of hundreds of people a day, and influence the health care of hundreds of thousands of others every year as CEO of Parkland. Dr. Anderson promised Rogers five years. His tenure extended far beyond that. 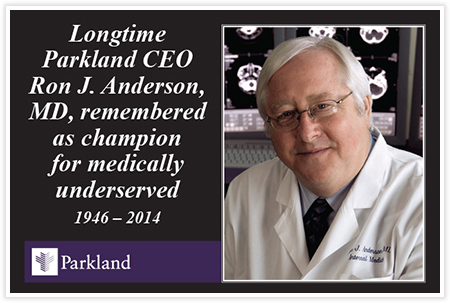 During his years at Parkland, Dr. Anderson was courted by other hospitals and institutions across the country, but he never lost his zeal for the Dallas hospital. He often said that people at Parkland, himself included, had a missionary mentality and a passion for their work that transcended the lure of other institutions. 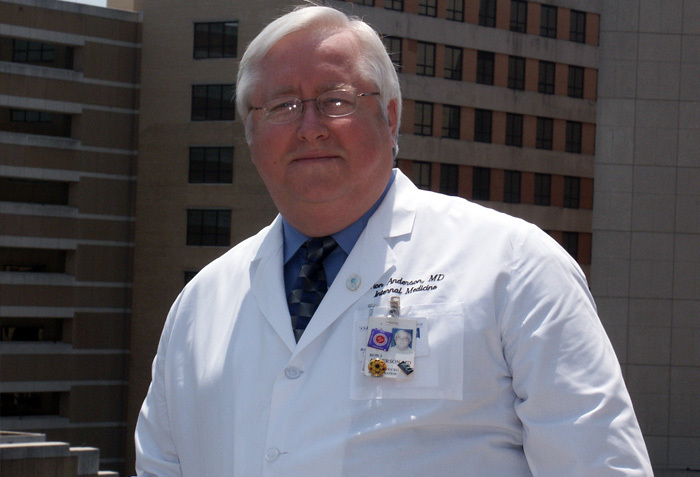 Dr. Anderson’s zest for life extended beyond the walls of the hospital. He was an avid reader, devouring everything from current medical literature and popular fiction and nonfiction to ancient classics. He was a writer, as well, and authored hundreds of medical and scholarly articles, monoliths and other essays. His Oklahoma upbringing gave him a love and appreciation of American Indian culture — and the Indian name of Medicine Bear, a name he said was not associated with his profession. He was an avid hiker who often included Indian reservations and ancient Indian relics as part of his walking vacations. His interest in Indian lore became almost an obsession, judging by the walls of his office, which were covered in Indian artifacts and relics. Throughout his life, Dr. Ron Anderson fought long and hard for that reform.